We are really excited about some progress at the disc golf course this year! Glow League – Need we say more? We are bringing the glow league back this year! Make sure you mark your calendar and come out and glow! We have glow discs available – if you don’t have glow discs you can get some at this event. Cupcake also has some colored glow in the dark tape – so if you need some remind her before the glow! PLEASE make sure to have a small LED black light or Ultra Violet Light we DO NOT permit flashlights to be used during these rounds except for emergency purposes only. Our first tournament is coming up on June 18th – the Red, White and Blue Marathon – three rounds back to back of alternating Red, White and Blue Tee layouts. 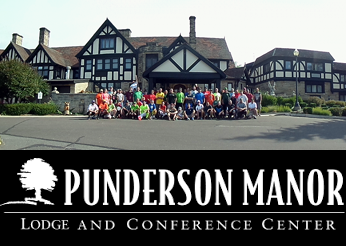 This demanding tournament is a perfect way to get started up here at Punderson! Go ALL IN and play EVERY tee pad in a taxing one day tourney! Pun’s Labyrinth V is our next event – July 23-24th – a two day PDGA C-Tier Sanctioned Tournament. This event sold out in February and there is currently a waiting list, which – yes, you have to pay in advance to be on. Refunds will be issued if you don’t make it in. However if you still want to contribute, this is our biggest event and our infamous prize raffle is open to anyone wanting to join us for this event! 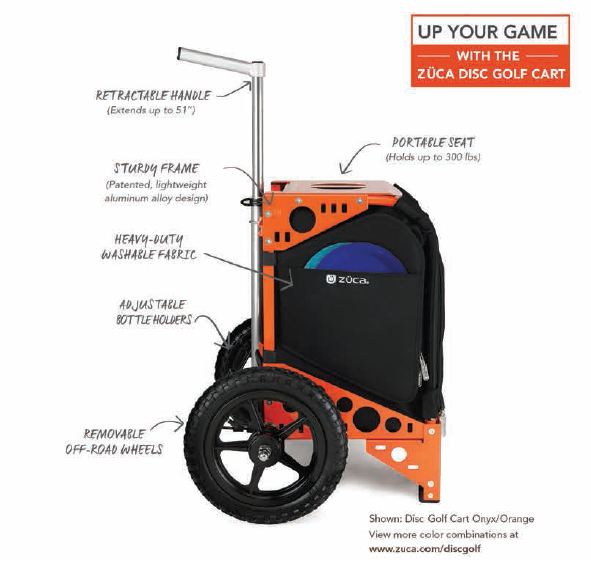 We are getting a lot of great donations this year including Dosh Board Golf – the First Disc Golf Board Game, and more recently Zuca Cart who will be providing us with a cart and this Special Offer for our players! The last big event we will be having this year is the Pine Lake Open on September 18th – Two rounds from the blue tees this will be the big event to end the year! We are in the works of making this event PDGA Sanctioned also – so please watch Disc Golf Scene for updates. Also, we are really pretty sure the bridge to the island will be installed this year… we know it has taken a while, but it may even be in play for the Pine Lake Open. If anyone wants to volunteer to keep a hole maintained, or mow, PLEASE CONTACT US so we can get you your volunteer form submitted to the park! Bench sponsorships are also now being accepted, it is about $75.00 and some volunteer labor needed to put one in – please see Andy, Bob or Cupcake if you would like to contribute.